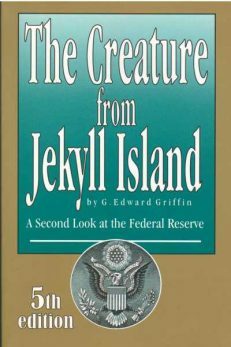 View cart “Creature from Jekyll Island (Lecture on CD)” has been added to your cart. This volume includes all programs shown below. The Hidden Agenda, the testimony of Norman Dodd, former staff director of the Congressional Special Committee to Investigate Tax-Exempt Foundations. Mr. Dodd reveals that the major foundations, have been promoting an agenda that has nothing to do with charity or good works. The objective has been to move the U.S. into acceptance of a world government, based on the principles of socialism, which is to be ruled from behind the scenes by those same interests which control the foundations. 45 min. The Law. The year is 1850. 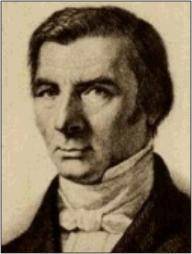 Economist and statesman Frederic Bastiat speaks passionately before the French Legislative Assembly exposing the contradictions of socialism. Is it proper for a large group to plunder a small group? Is it any different if the plunderers use the democratic process to pass laws that make their plundering legal? 82 min. Listen to a sample. World Without Cancer; The Story of Vitamin B17 (Laetrile), a documentary by G. Edward Griffin. This is the soundtrack of a film based on this book of the same title, which marshals the evidence that cancer, like scurvy or pellagra, is primarily a deficiency disease caused by the lack of an essential food factor missing from modern man’s diet. 58 min Listen to a sample. The next time there is a power outage, you’ll be glad to have some of these solar-powered lanterns on hand. Just place the small solar panel on your window sill to automatically charge the battery by day and then relax, knowing that you easily have enough light to see you through the night – and then some. 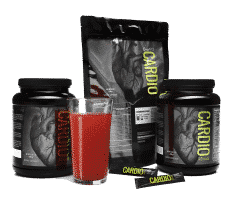 Cardio Miracle contains nature’s building blocks for the body’s production of nitric oxide and it enables dual-pathway delivery of its ingredients for greater efficiency. The release of nitric oxide begins, literally, within one second of absorption. This increases elasticity throughout the cardiovascular system and thereby improves blood flow. That reduces blood pressure and the risk of heart attack, stroke, diabetes and sexual dysfunction. It increases the cell’s output of nitric oxide by up to 30%. Just one dose stimulates sustained release for 12 hours and has a lasting effect up to 72 hours. There are numerous nitric-oxide boosters on the market, but no other formula can match the high level nitric-oxide release of Cardio Miracle. This product is not cheap but, because more release is obtained with less product, the cost-to-benefit ratio actually makes it the economy option.